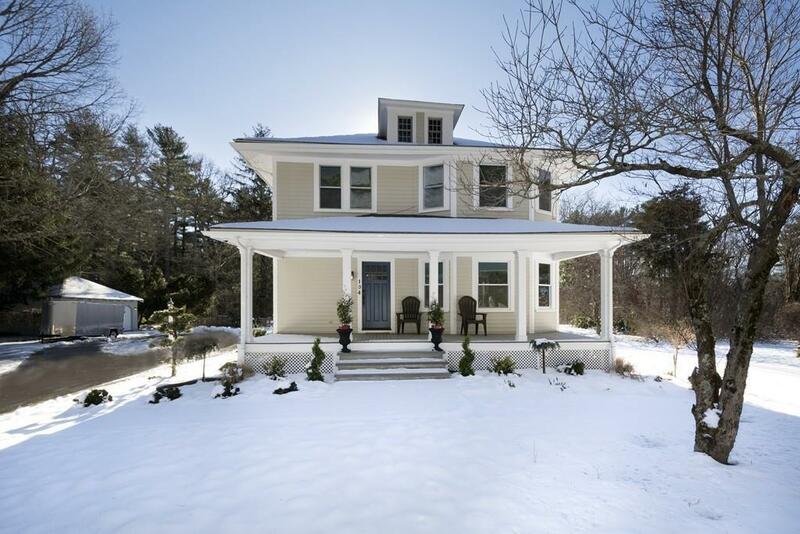 This fully renovated farmhouse, by local custom builder is sure to steal your heart! Featuring yesterdays character with today's style making this one the best of both worlds. Abutting the sought after Barque Hill neighborhood, this home is set on a lovely lot with mature trees, new plantings and landscaping.The complete package, checking all the boxes and tastefully designed with today's buyers in mind.First floor features open foyer, stunning hardwood floors, soaring ceilings, state of the art kitchen with quartz counters, wine bar, eat in area, fireplace & half bath.A gorgeous living room surrounded by windows allowing plenty of light to flow through into the elegant dining room and spacious sun room.The second level hosts 3 bedrooms, two full bathrooms, a deck overlooking the back yard and a third floor attic which could be perfect for future expansion down the road.Newer heating system, Boiler, Windows, 2.5 new baths, new septic system & roof.Two car detached garage & additional storage shed.